I want to make an announcement to you that starting today, I’m pulling out all the stops to accelerate to maximum betting limits. I believe that a monster winning run is coming, and right now is the time to strike while the iron is hot. By the way: Don’t just take my words for it either. Judge me based on my actions. 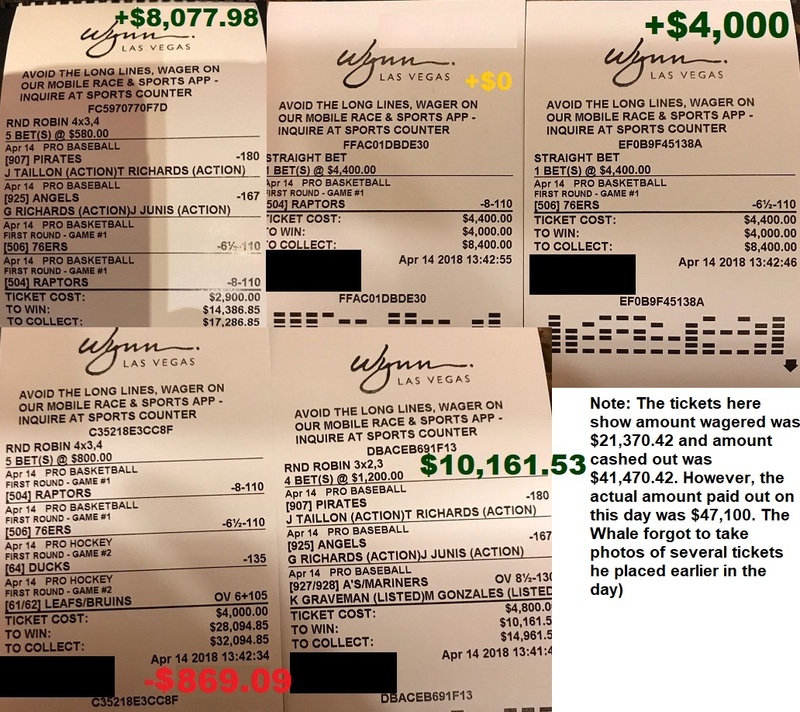 Over the weekend, I was busy working with one of the largest sportsbooks in Las Vegas to set up a 6-figure credit line. The sportsbook is currently waiting for a massive wire transfer to complete right now, and that’s all I need to start betting at huge limits. Hopefully, the big wire transfer will complete today, as I am ready to strike and start betting $50,000-$100,000 a day in order to show you what I can do with my Round Robin system and picks when I get hot. 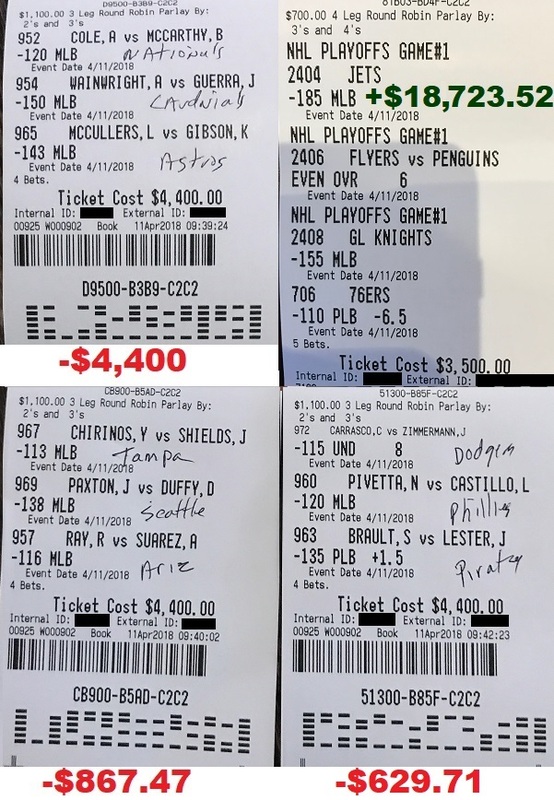 Once I truly get sizzling, you can expect meto bet hundreds of thousands of dollars on my picks in a day by spreading action around to sportsbooks all over Las Vegas. After seeing how the patterns have been forming in the last 7 days, I feel more convinced now than I have been in a long time that I’m right on the verge of hitting a monster hot streak. 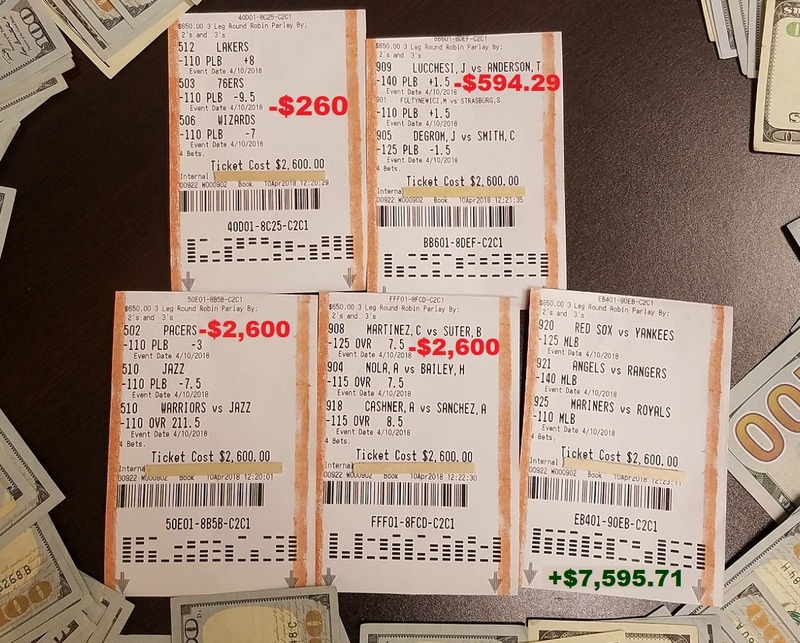 This time, I’m ready to fire away and show you how the multiplier effect can make it possible to win a million dollars in a relatively short period of time – all from betting on sports. Again: The key word here is to show you. I’m not interested in just telling you what can hypothetically happen like what most industry touts typically do. I’d much rather show you what can happen. It’s one thing to sit back and say how winning a million dollars is theoretically possible, but it’s far more convincing to actually show you that it’s possible – right in front of your eyes. More than ever, I feel committed to be on this grand mission to prove to you something that I have already done over and over and over again all throughout my life: Take relatively small replenishable amounts and run them up to massive winnings. My goal is to show you that I can win a million dollars in one month of betting on sports during this baseball season. I believe this will happen in the next 30 days. 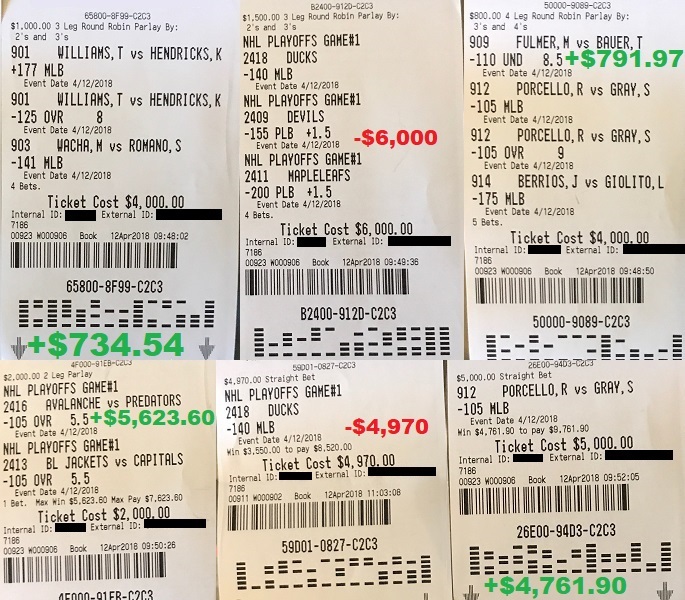 Do the math: In just the last 7 days of betting on sports, I have now been paid out $194,744.32! Today, I continue my maximum acceleration. If the wire transfer to the sportsbook hits today, you can expect me to bet $50,000+ today on my picks. How’s that for “putting my money where my mouth is?” If I cannot help you win today, I’ll lose $50,000+! Ask yourself this: Why am I betting $50,000+ today on my picks? That’s enough money to buy a brand new car. Or put as a downpayment for a whole new home. 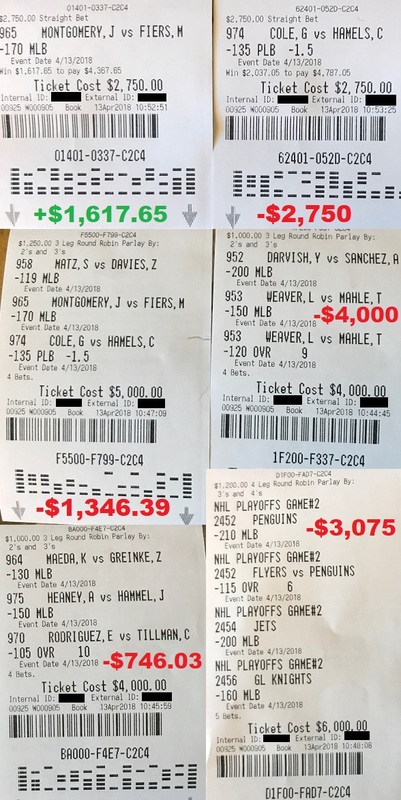 Think about it: Nobody on this planet could be that nuts enough in the head to bet this kind of money on their own picks in a single day, and do it again and again every single day, unless they feel absolutely convinced about winning out. I do things differently because because I’m tired of the typical industry touts who are only great at sitting back and telling you how they can hypothetically win. I’m more interested in showing you how I actually win. I’m feeling very confident right now that I can win a million dollars in the next 30 days. Best of all: You don’t have to take my words for it. 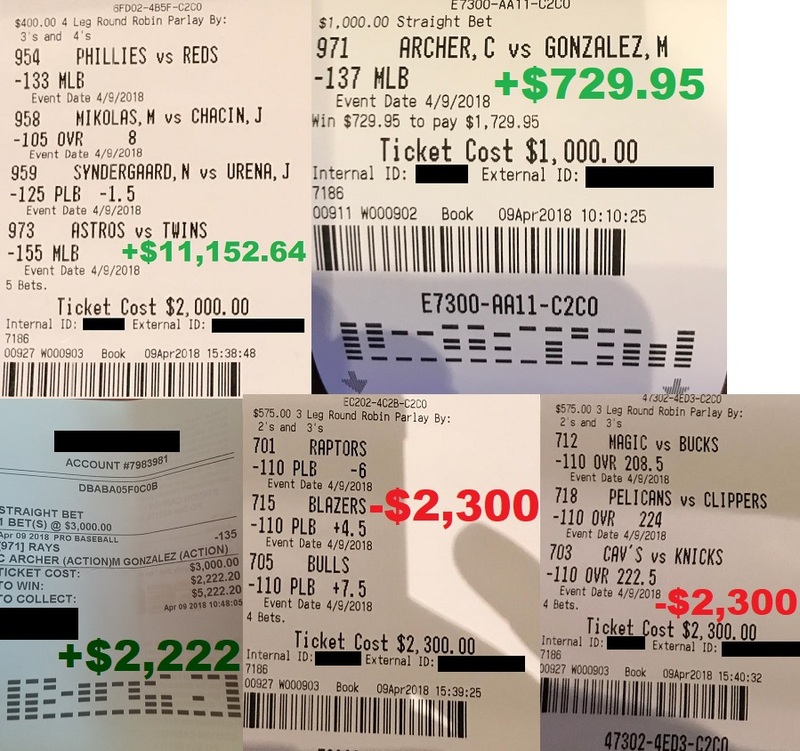 Just watch my action and see how I continue to bet tens to hundreds of thousands of dollars on my picks every day to prove it to you. I invite you to upgrade to a VIP Inner Circle membership now and see for yourself what can happen to your financial future when you tail The Whale at the team sport I’m most historically accurate in, and finds the easiest to handicap.